Be a champion - Volunteer! We are incredibly lucky to have celebrity support on our mission to empower children and young people with additional needs to develop the skills to live independently and reach their potential. 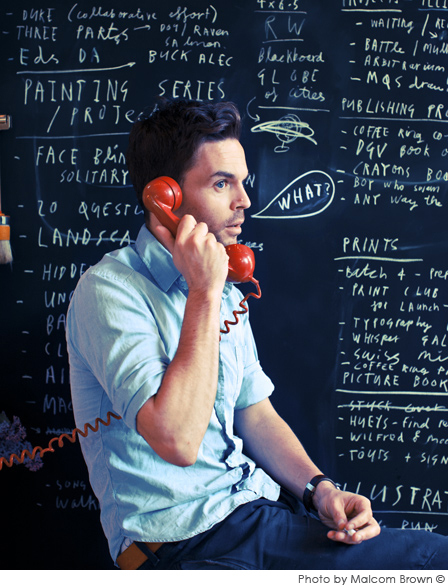 Multi-million-selling artist, illustrator Oliver Jeffers joined Autonomie as a patron in 2016. Jeffers is probably best known for his children's books. His debut, How to Catch a Star, was published in 2004 to floods of acclaim, sales and awards. The Incredible Book Eating Boy went on to win the Irish children’s book award. The Day the Crayons Quit was a New York Times bestseller. He has written and illustrated 15 picture books, collaborated on another four picture books, and illustrated seven young adult fiction books. Northern Ireland born Jeffers said: "I spent many holidays around people who had a wide range of disabilities, so I know first-hand some of the problems that a lot of people have to deal with which often include social inclusion, isolation, various forms of discrimination and a lack of opportunity in the workplace. “Autonomie empowers these young people so that they can break down these barriers they too often have to face. “I am very excited about my new role at Autonomie." Stay up to date, join our mailing list.